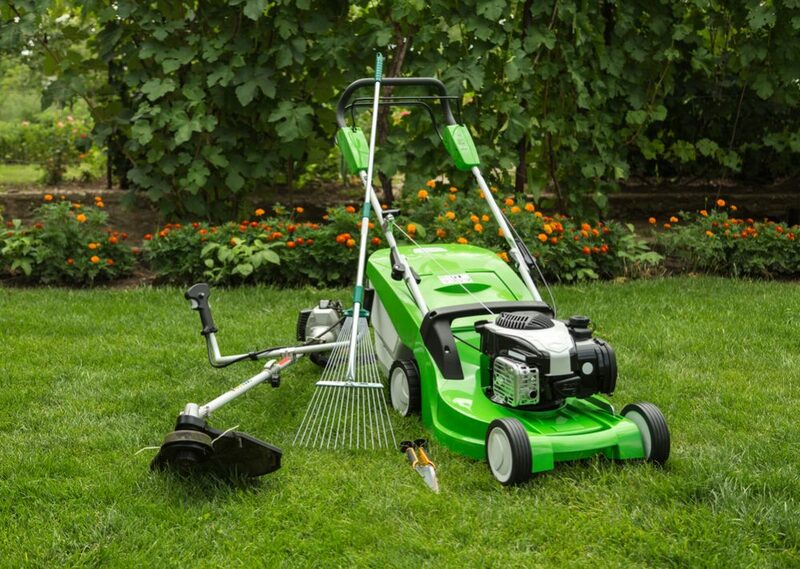 Keeping your lawn healthy and lush is a job that requires a lot of work. 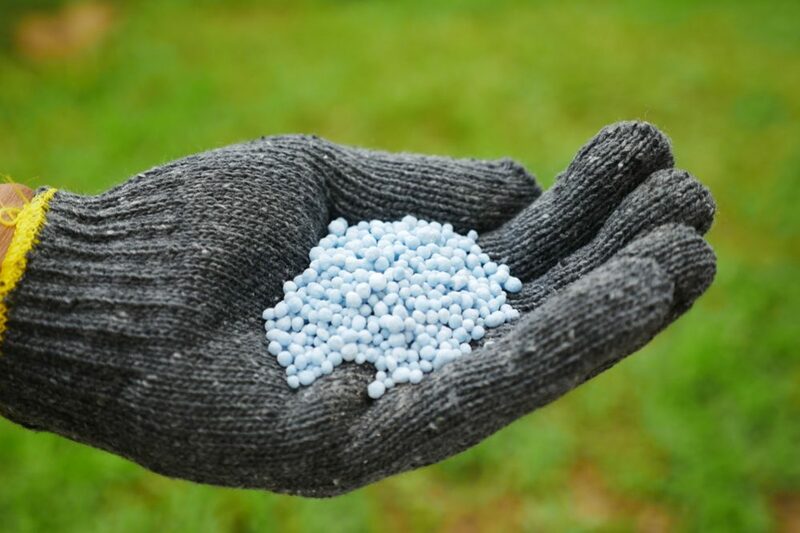 You need to know about overseeding, watering, mowing, fertilizing, weed control and more – and the last thing you want to have to deal with is an invasion of tree saplings. If trees begin shooting up in your lawn, they are there due to one of two reasons, and to deal with them, first, you need to work out where they came from. Once you know why they are growing, you can begin to take action. 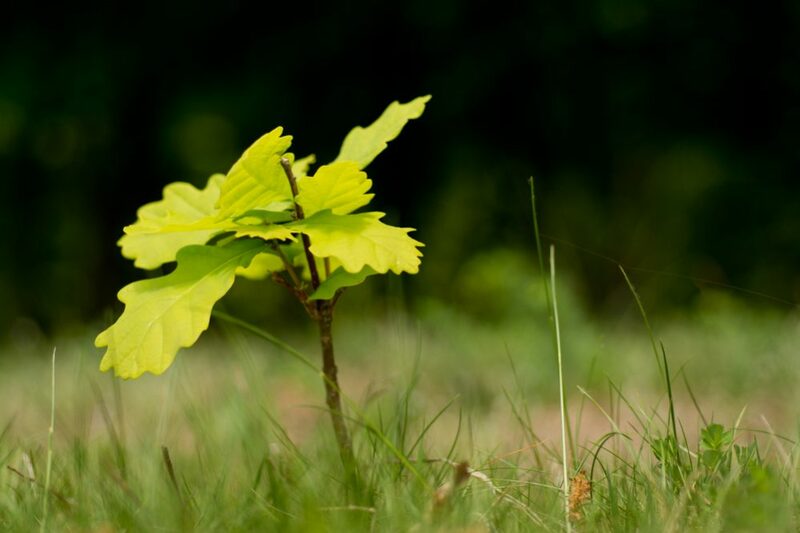 Here we look at everything related to how to get rid of tree saplings in lawn. If you want a preview, here’s a video that talks about many of the issues we’ll be discussing. 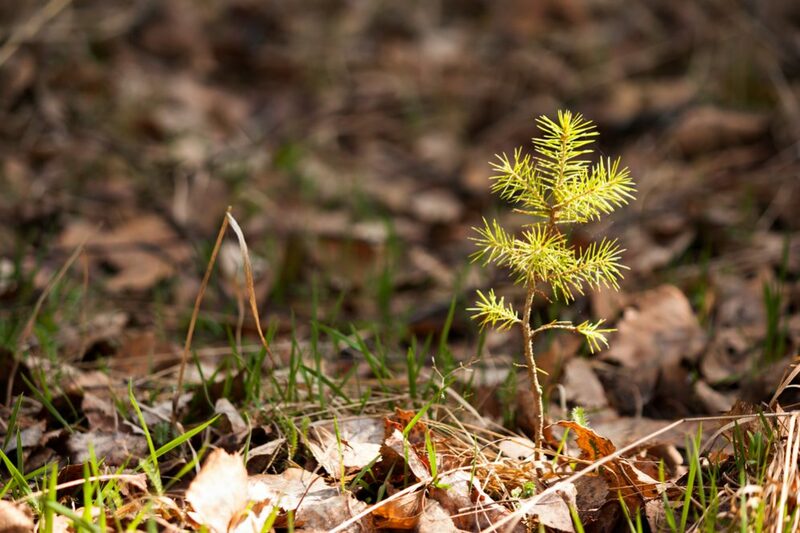 There are basically two reasons why you have a sapling problem, and one is much easier to deal with than the other. 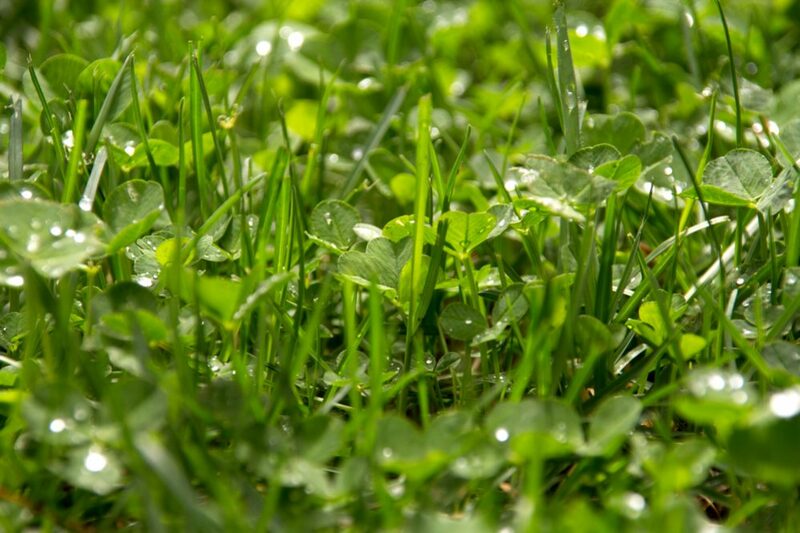 The first reason you may have saplings in your lawn is that seeds from a nearby tree are falling there are beginning to sprout. This may be annoying because you still need to deal with them, but if this is the problem, then you’re lucky. The other reason you might discover saplings springing up throughout your lawn is because a root from a larger tree is growing under your lawn and is throwing up suckers. This is a more difficult problem to deal with, especially if you don’t want to damage the parent tree. It should be fairly easy to establish whether the saplings are coming from seeds or from a root. When you first notice the saplings, just try pulling them up. 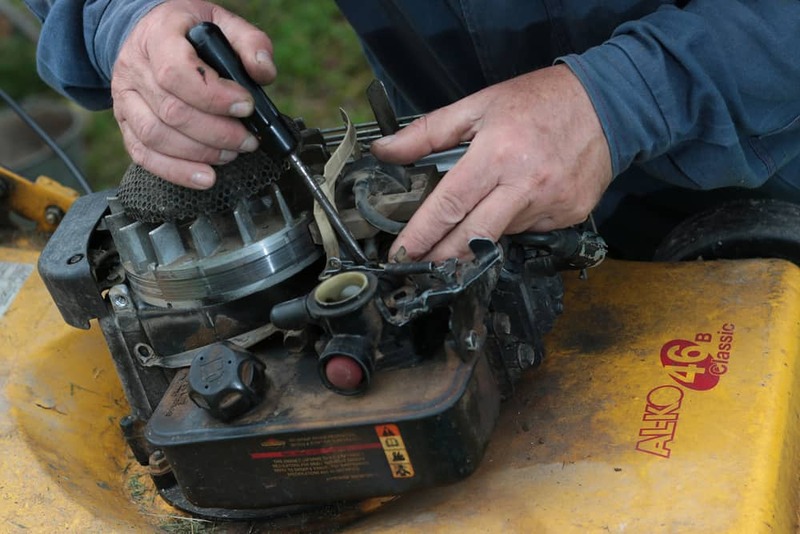 If they are simply small trees that have only established a shallow root system, they will be easy to pull up and you will be able to remove the young tree and most of the roots in one go. However, a sucker that has sprung up from a large root below the surface will be a lot harder to pull up since it will be attached to something much more substantial. If you do manage to snap the root and pull something up, it will be quite clear you have left a lot behind too. Let’s look at how to deal with seedlings first. This is by far the easier job since they can essentially be dealt with in a similar way to other unwanted weeds. The only difference is that if you let them grow, they will quickly become a lot bigger and tougher than your average weed. If you catch them early enough and there are not too many, the simple way to deal with seedlings is just to pull them up one by one. 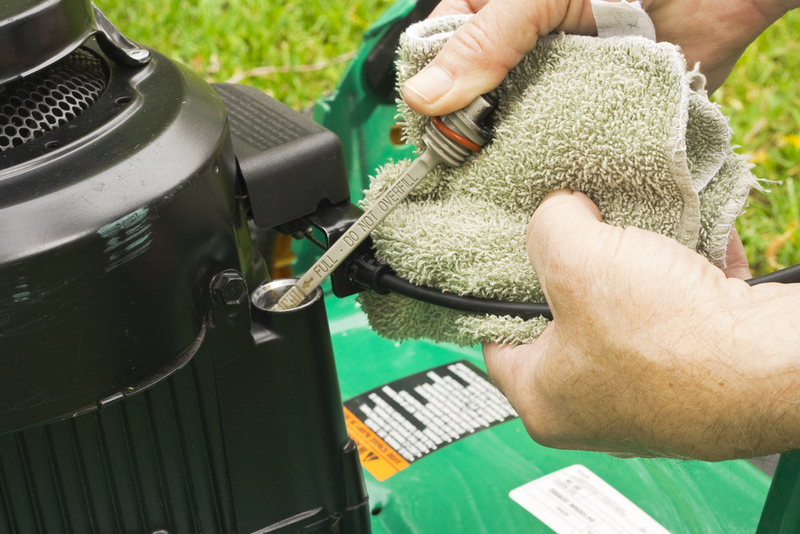 Try to ensure you remove the whole root system or you risk them regenerating from the part you leave below the surface. If they are more established, you may need to dig them up and then reseed the patches of lawn where you had to dig holes. 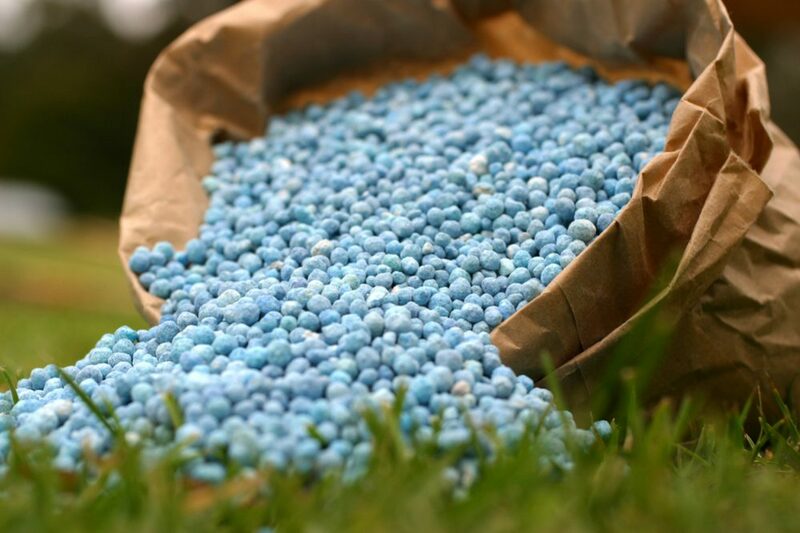 If the saplings become too well established to pull or dig up or if you don’t want to start digging holes in your lawn, you might also choose to treat them with a chemical herbicide. 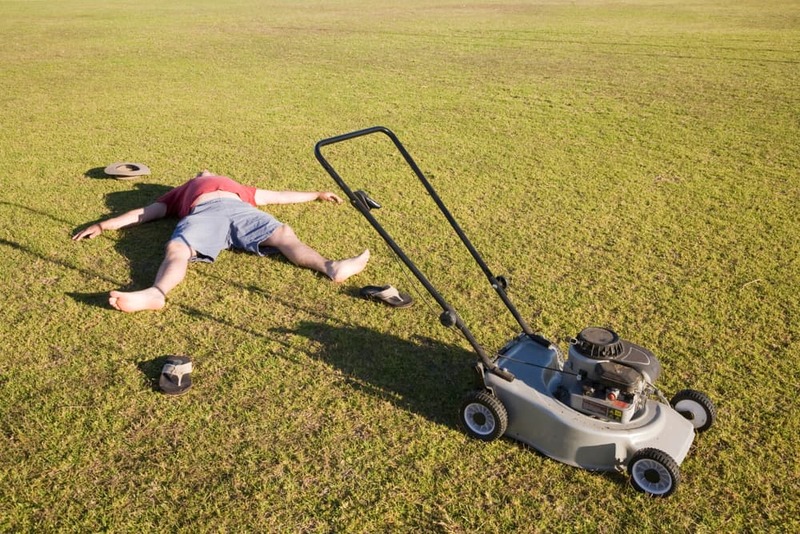 Start by giving your lawn a deep watering a day or two before the treatment – they will be more susceptible to the herbicide if they have had plenty to drink. Cut the stem right down to ground level and brush the top of the cut stem with the herbicide – use an undiluted non-selective herbicide like glyphosate. This will kill the seedling and prevent further growth. It is very important not to use this treatment if the new trees are actually suckers from a parent tree since this approach is likely to damage or even kill the parent tree too. If the suckers are coming from a tree in your neighbor’s yard, you may end up killing your neighbor’s tree! 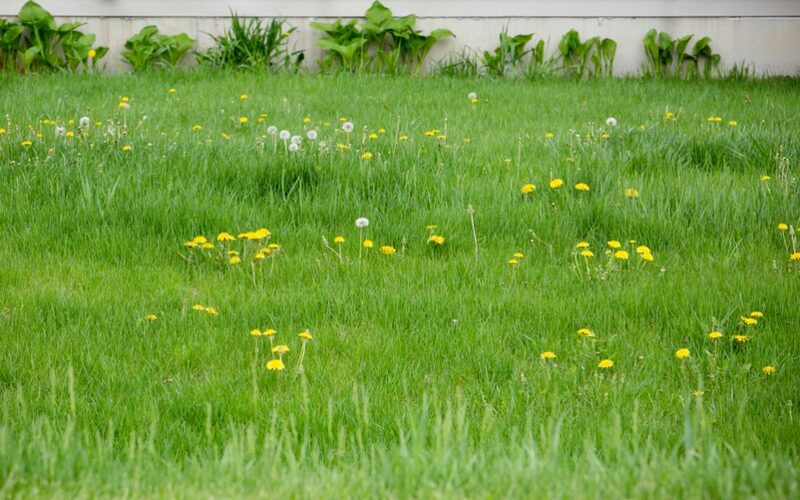 Keeping a thick, lush lawn will also prevent seedlings from becoming established in the first place. If you find yourself dealing with suckers, you need to decide on the best way to tackle the problem. 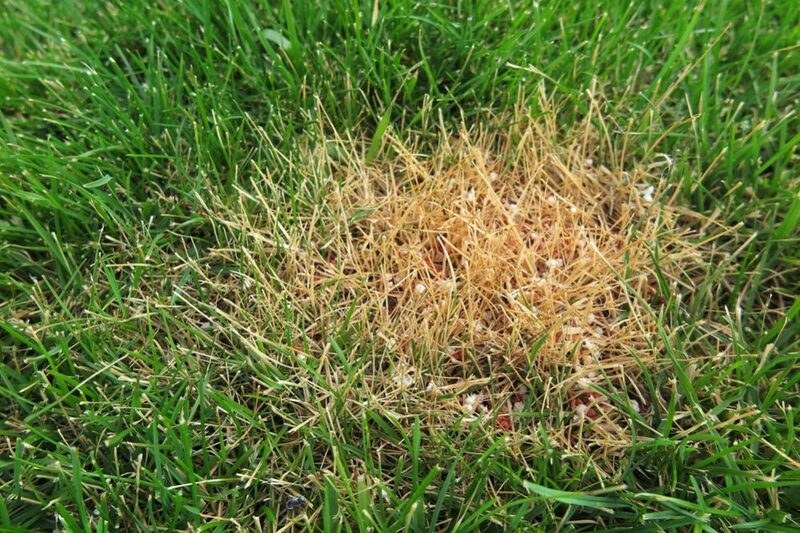 If you can establish which tree is sending them into your lawn, the most drastic course of action is to remove the parent tree – although this is rarely practical. You can try to excavate the sucker back down to the main root and cut them off there. If you are lucky, they won’t grow back – but if you just prune them and don’t cut them right off, you will only encourage them to grow back even more. Also, try to establish why the tree is sending up suckers in the first place. Trees usually send up suckers when stressed, and by working out why the tree is unhappy and taking steps to resolve the problem, you may be able to stop it sending up further suckers once you cut them back. Another option – again, quite drastic but not quite as much as removing the whole tree – is to excavate the root or roots responsible for the suckers and then placing a physical barrier underground to prevent more roots from growing under your lawn. There is another option, although it should be used with caution. Some products claim to be able to kill suckers without damaging the parent tree. If you decide to go down this route, make sure you read the instructions carefully. Since there is a risk of damaging the parent tree with this kind of treatment, you may be better off calling in a professional arborist for help. A professional will be able to assess the situation and give you advice on the best way to proceed. With serious sucker problems that can’t be resolved by any other methods, calling a professional can sometimes be the best choice. 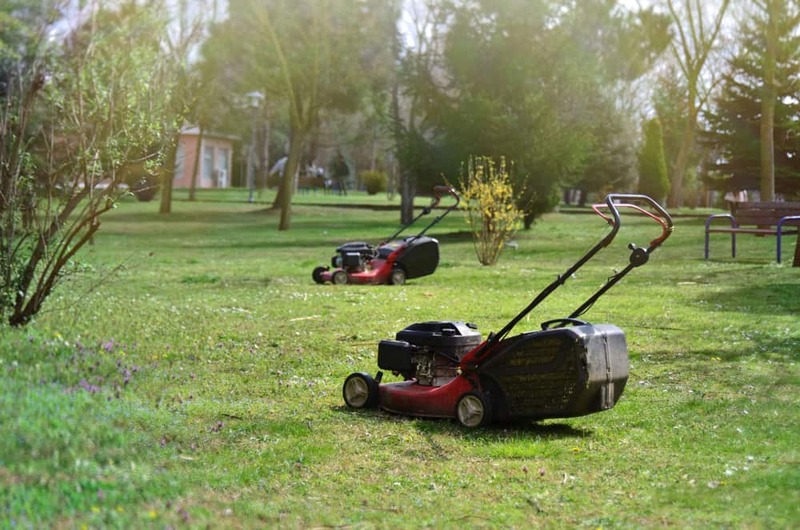 A much cheaper option is simply to keep cutting them down with your riding mower, electric cordless lawn mower or other types of lawn mower. However, this will just put the problem off until later, and eventually, you’ll have to deal with it properly. As we have discussed, knowing where the young trees are coming from is the most important first step. 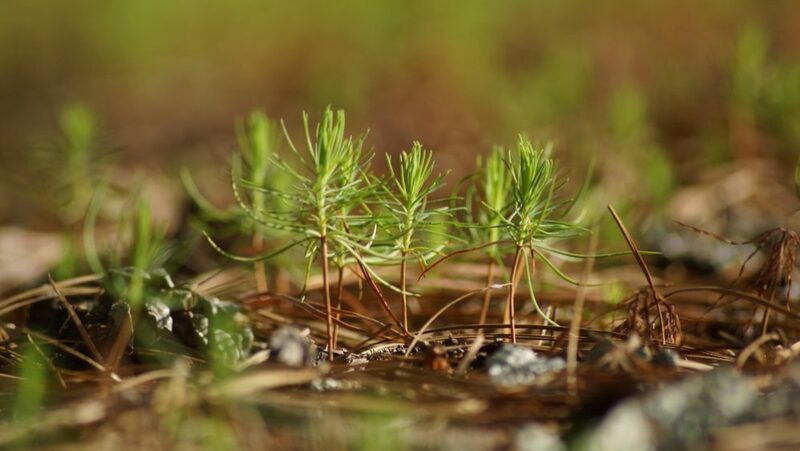 Young trees growing in your lawn can be the result of one of two quite different problems, and you need to understand which you are dealing with before you can start trying to resolve the issue.